Humans have been consuming alcohol or fermented drinks for ages. It is one of the most debatable beverages worldwide because of the various benefits, as well as the ill effects associated with it. We know that anything in excess is harmful. But, does moderate alcohol consumption have any side effects? Yes, it does. Read on to find out more about the health risks and benefits of moderate alcohol consumption. 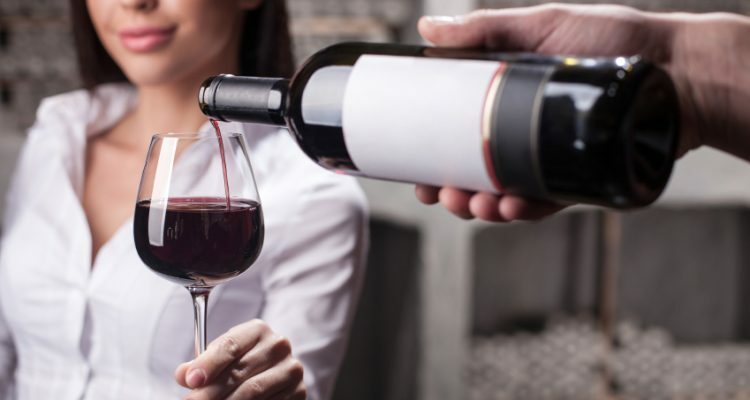 Very recently, a study published in The BMJ which was conducted by the University of Oxford and the University College London reports that even moderate alcohol consumption can cause a decline in brain health and mental function. The study says moderate alcohol consumers showed a decline in mental skills three times more than non-drinkers. The study researchers analyzed the effects of weekly alcohol intake on 550 healthy British men and women over a period of 30 years. None of the participants were alcohol dependent. At regular intervals, they had to give brain function tests. They also had to undergo an MRI brain scan in the last three years of the study. The study found that heavy alcohol consumption—more than 30 units of alcohol per week for over 30 years—increased the chances of a certain form of brain damage called hippocampal atrophy. It affects cognitive functions including memory and spatial navigation. Related: Is Consuming Too Much Alcohol Deadly? The Whitehall II study showed that people who drink alcohol in moderation had three times the risk of hippocampal atrophy compared to non-drinkers. The study also found that people who drink more than seven units of alcohol per week showed a faster decline in language fluency compared to the non-drinkers. According to the World Health Organization, alcohol is the cause of 5.1% of injuries and illnesses. Also, Dr. Doug Brown, director of research and development at the Alzheimer’s Society concluded that you shouldn’t abstain from alcohol but have it within the recommended guidelines. But what quantity of alcohol can be considered as appropriate? According to the Dietary Guidelines for Americans, one drink per day for women and two drinks per day for men is considered as moderate. Moderate alcohol consumption also has some health benefits. Here are six benefits of moderate alcohol consumption. The School of Public Health at Harvard University found that consuming alcohol in moderation raises levels of good (HDL) cholesterol. Higher levels of HDL provides protection against heart disease. It also provides better insulin sensitivity. It prevents the formation of blood clots in the brain, neck, and heart that may cause heart attacks or strokes. A study published in the Journal of Sexual Medicine found that people who consume alcohol in moderation showed a reduction in erectile dysfunction by 25 to 30%. Kew-Kim Chew, the lead researcher and epidemiologist at the University of West Australia, also says that more research is required to conclude the relation between erectile dysfunction and alcohol consumption accurately. A study conducted by the Catholic University of Campobasso states that less than four drinks for men and less than two for women may reduce the risk of death by 18%. The Department of Psychology at the Carnegie Mellon University found that smokers are more susceptible to common colds and that moderate alcohol consumption reduces the risk of the common cold in non-smokers. Wine is rich in antioxidants. Spanish researchers found that consuming eight to 14 glasses of red wine per week decreased the chances of the common cold by 60%. According to an article published in the journal of the American Diabetes Association, drinking one to two glasses of alcohol per day reduces the risk of type 2 diabetes compared to those who don’t drink. The study showed that moderate consumption along with a healthy lifestyle reduces the risk of type 2 diabetes. According to researchers at the University of East Anglia, people who drink two units of alcohol per day have a decreased risk of gallstones by a third. Another study showed that excessively exceeding the consumption limit can cause health problems. Much has been said and written about the good and bad effects of alcohol. We know for sure that an excess of alcohol is bad for health. According to some research papers, moderate alcohol consumption also has some ill effects on the brain. So, although moderate consumption of alcohol may have a few negative impacts on the health, there are benefits too! But don’t let the benefits alone persuade you. Bachai, S., “7 Health Benefits Of Drinking Alcohol,” Medical Daily, July 10, 2013; http://www.medicaldaily.com/7-health-benefits-drinking-alcohol-247552. Paddock, C., “Moderate alcohol consumption linked to brain decline,” Medical News Today, June 7, 2017; http://www.medicalnewstoday.com/articles/317809.php, last accessed June 8, 2017. Topiwala, A., et al., “Moderate alcohol consumption as risk factor for adverse brain outcomes and cognitive decline: longitudinal cohort study,” The BMJ, June 6, 2017; http://www.bmj.com/content/357/bmj.j2353, last accessed June 8, 2017.